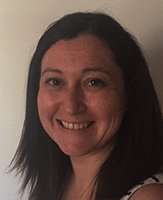 Dr Gabriela Willis, public health registrar at the Tasmanian Department of Health and Human Services (DHHS), has been awarded the Gerry Murphy Prize for her work with the Prevention Centre to build a dynamic simulation model testing the impact of policies on alcohol-related harm in Tasmania. The prestigious award recognises the best Australasian Faculty of Public Health Medicine trainee presentation on a public health medicine topic, and was presented at the Royal Australasian College of Physicians (RACP) Congress 2018. Dr Willis won the regional Gerry Murphy prize in Tasmania last year, before presenting her winning abstract to the RACP Congress on behalf of the Tasmanian Alcohol Modelling Consortium. Competing against four regional winners from other states, Dr Willis said it was a great opportunity to connect across jurisdictions and learn from each other. “We train in very different environments and we’re brought together once a year for our training days and for this event, so it’s a fantastic opportunity for trainees to showcase the work they’ve been doing,” she said. Dr Willis was part of the core model-building team, along with Prevention Centre researchers and Kate Garvey, Manager of Partnership Development at DHHS. The model, built by the Prevention Centre’s modelling advisor Mark Heffernan, is a ‘what-if’ tool designed to test the likely impacts of a range of policies and programs to reduce alcohol-related harms over time. Dr Willis played a key coordinating role, assessing and accessing data sets and liaising between local and state stakeholders. The model is now being used by the DHHS to inform the next Tasmanian Alcohol Action Framework. Dr Willis said there is a window of opportunity currently for Tasmania to use this project to implement policies that will reduce alcohol-related harms. “It’s a fantastic tool to see where we should be putting our efforts and what we could achieve if we had the right strategies,” she said. Project coordinator Jacqui Davison said the award was an acknowledgement of the role simulation models could have in developing public health policies. “We’re really excited that Gabi has won this prestigious award, as it demonstrates the increasing level of interest in applying simulation models to public health challenges in Australia. It also shows that policy agencies are fully engaging with these tools,” she said.